While Western energy firms are reluctant, China is investing big in Nigeria. Will it pay off? Developers in the pursuit of commercially available oil found it in Nigeria in 1956, with the country’s first oil field beginning production in 1958. The last 56 years have seen Nigeria oil production surge to 2.524 million barrels per day and the country join OPEC, but the last five decades have also seen most Nigerians denied the benefits of the nation’s cash inflow, as a succession of corrupt military and civilian administrations raided the income, by some estimates of over a half trillion dollars. However, the gravy train is unlikely to stop soon. Well, never mind the experiences of Shell, ExxonMobil, Chevron, Total and Eni, Chinese companies are willing to brave the Nigerian new frontier and invest onshore there. 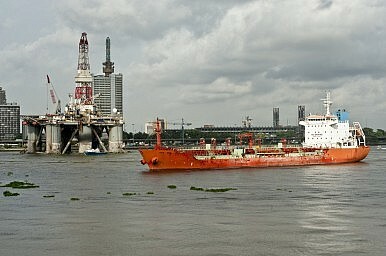 On January 10, the federal government in Abuja approved a $10 billion in Chinese oil exploration in the Bida Basin. Even better, the unnamed Chinese firm has also indicated its interest in constructing a refinery in Baro, Niger State. The good news is that laboratory studies for hydrocarbon deposits in the Bida Basin revealed that there was about a 70 percent gas and 30 percent oil composition. The bad news is, as always, the current Nigerian environment, rife with corruption. Will China be able to surmount the issues of production and corruption that have tormented foreign oil companies up to now? No doubt, a $10 billion potential investment when European and American firms are giving Nigeria a pass will produce a great deal of influence for Beijing. Can China surmount the problems that have dogged Western oil firms operating in Nigeria? Given Beijing’s deep pockets, if such difficulties can be bought off, then China’s options are the best of any energy firms entering the chaotic Nigerian market for some time.